If you’re looking for a stealthy easy-to-use mod to make the leap to sub-ohm vaping, the AtmosRX i30 may be the device you’ve been looking for. Featuring variable voltage/wattage technology and a bunch of other useful features, it’s the perfect introductory vaporizer for intermediate vapers looking to move up to an advanced setup. If you’ve ever used dry herb or wax vaporizers, you are probably familiar with the AtmosRX brand. They’re one of the biggest names in the business, with dozens of different vaporizers listed on their website, but they’ve also decided to get their feet wet in the vaping market, as well. 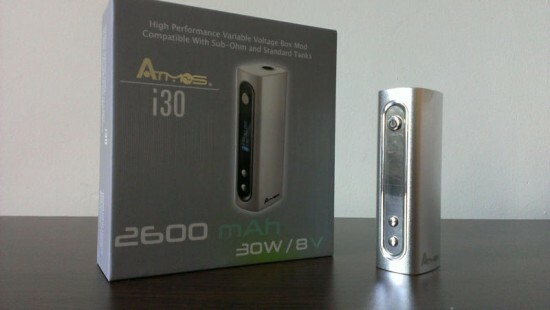 The i30 is one of the three AtmosRX mods currently available. 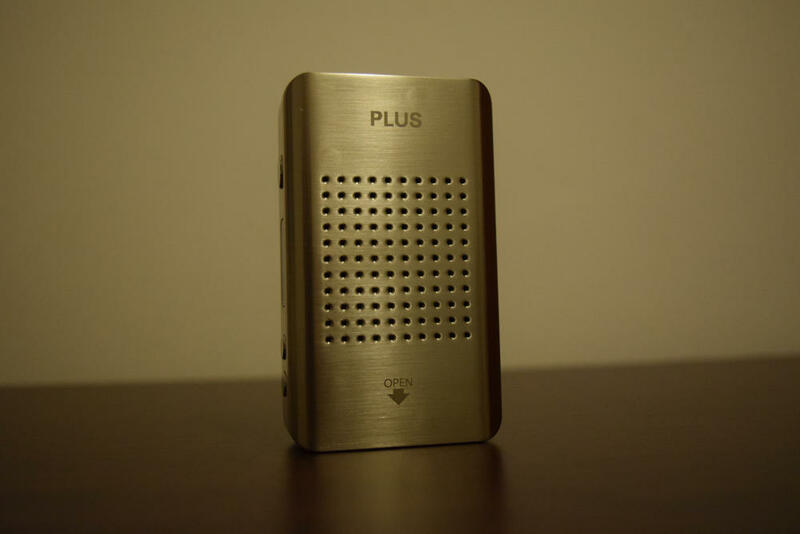 The first thing I noticed about the AtmosRX i30 was it’s size. This is without a doubt the smallest box mod I’ve ever used. 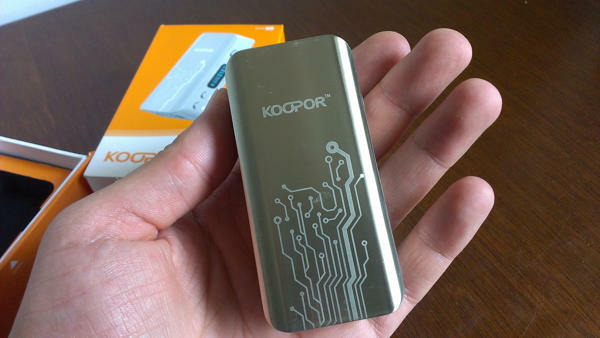 Back when I reviewed the Koopor Mini temperature control mod, I was impressed with how tiny it was compared to other devices I had tried, but this thing is considerably smaller. At just 3.22 inches in height and 1.25 inches in diameter, it fits perfectly in the tiniest of hands, making it a great choice for men and women looking for a stealth vaping mod. It’s also incredibly light, owing to (what I assume is) an aluminum body. You can just put in your pocket and forget it’s there, just make sure you lock the firing button to avoid accidental activation. Design-wise, the AtmosRX i30 is very straightforward. You have three buttons on the side of the mod – a large firing button and two “+/-” wattage/voltage control buttons – along with an LED display. 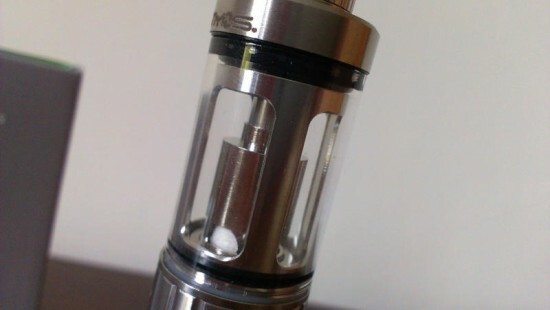 At the top, you have a spring-loaded 510 connection compatible with virtually any of the modern clearomizer, tank or RDA on the market today, and even older eGo type ones, thanks to the included adaper. 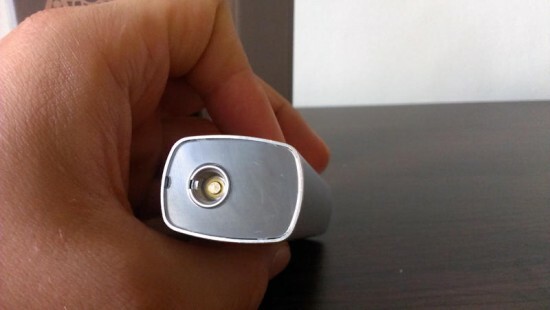 On the bottom, you can find a micro USB port for charging. It’s worth noting that the i30 can be used as a passthrough while charging, so you don’t have to worry about battery life. 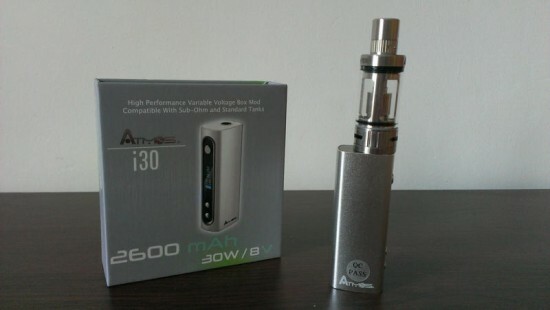 As I mentioned in the beginning, the AtmosRX i30 mod is very simple to use. Just press the fire button five times in rapid succession to turn it on, and you’ll see the LED display light up. It offers all the standard information, like atomizer resistance, battery level, current voltage and wattage. While the fire button is pressed, the screen displays a puff timer. You can switch between voltage and wattage modes by pressing the fire button three times rapidly. And that’s about all the combinations you need to remember to operate the i30. Obviously, you can ramp up or turn down the power output using the +/- buttons. In wattage mode, which is what most of you will be using anyway, you can crank up the power from 2 watts all the way to 30 watts, while in voltage mode, the i30 works from from 2 volts to 8 volts. That’s pretty decent for an entry-level sub-ohm mod, but there were a couple of things I didn’t like. First of all, it takes a long time to reach the full 30 watts when you start at a lower wattage, as the power goes up in 0.1 increments and the counter isn’t the speediest I’ve ever seen. At least you don’t have to keep the button pressed down the whole time – just keep it pressed until the display counter picks up some speed and then let go. It will keep going up until it reaches the max level or you press the “-” button. The same applies when trying to turn down the power. Luckily there is a way around these long wait times. 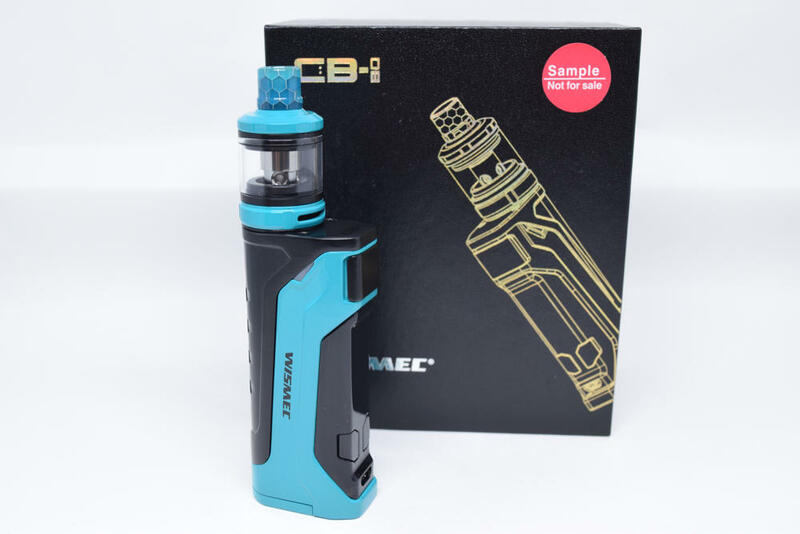 Even if you only use the i30 in wattage mode, you can go into voltage mode real quick and crank up the voltage to the maximum allowed level. Then, when you go back into wattage mode, the mod will be at the maximum wattage level, depending on the resistance of your atomizer coil. It will save you a lot of time. The other thing I didn’t like was that the mod doesn’t seem to have a way of locking the current wattage/voltage your’re vaping at. 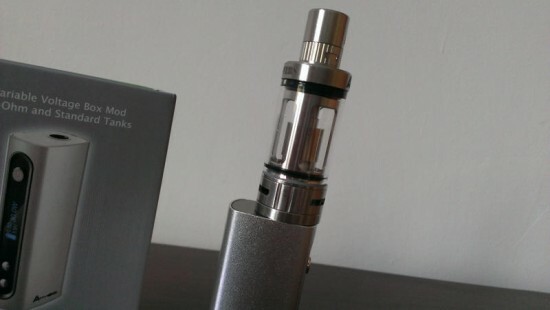 With the Eleaf istick 30W, for example, which has the same model chip as the AtmosRX i30, you can press the + and – buttons simultaneously and it will lock the current wattage/voltage setting, but the i30 doesn’t seem to have such a feature. So if you press one of the buttons by mistake, you will be changing the wattage level as well. The AtmosRX i30 will fire down to an atomizer resistance of 0.5 ohms, allowing you to get a taste of the sub-ohming experience, without going low enough for you to try the really extreme stuff (like the more high-end SMOK X Cube 2, for example). But, as I said, this little thing was designed as an entry-level sub-ohm mod, and it doesn’t pretend to be anything more than that. 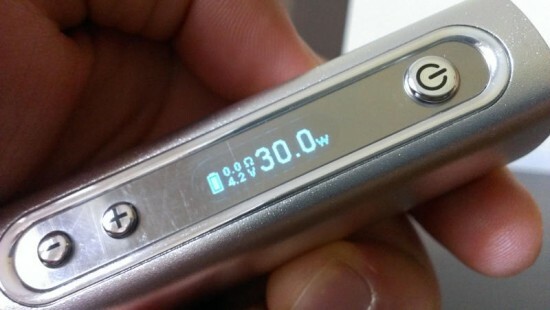 30 watts is more than enough for someone that’s just getting into sub-ohm vaping, and, if they ever feel the need for something more, they can always find something more advanced. Overall, I was pleased with the overall performance of the i30. 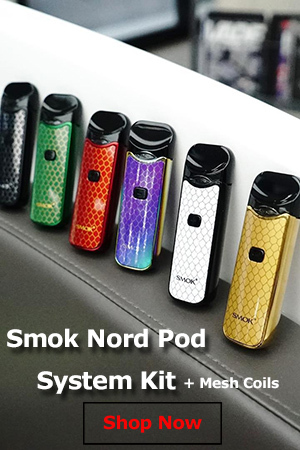 It’s a really simple to use variable wattage/voltage mode, it’s capable of sub-ohm vaping, the buttons are responsive, and best of all, it comes in a very small package that fits perfectly into your hand and pocket. Oh, and let’s not forget the 2600 mAh LG battery that will get There are couple of things that could have been done better, but as a whole, it’s a good device. There is, however, one thing that I for one consider a deal-breaker – the price. 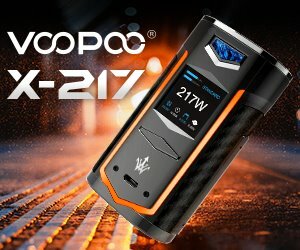 On the AtmosRX website, the i30 costs a whopping $69.95. That’s a lot, considering you could buy the stellar SMOK X Cube 2 temperature control mod for the same money, and that the very similar Eleaf iStick 30w costs somewhere around $35. Stranger still is that you can buy the AtmosRX i30 cheaper from third-party sellers, like VapeUSA, where it’s listed at $49.99. 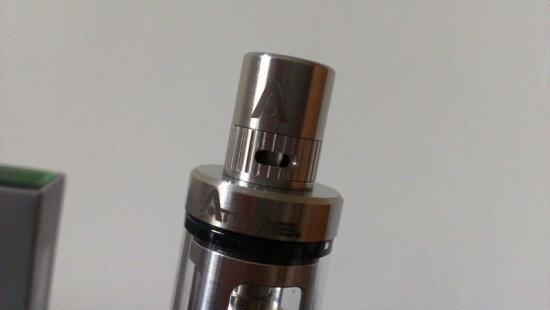 The AtmosRX i30 doesn’t come with any included clearomizer or tanks, but if you’re looking for something capable of sub-ohming, you might want to consider buying their Sub-Vers sub-ohm tank separately. For those of you familiar with sub-ohm tanks, the AtmosRX Sub-Vers is basically a replica of the SMOKME Subverter Mini Sub-Ohm Tank, which is by no means a bad thing, because we’re talking about one of the most advanced sub-ohm tanks on the market right now. The Sub-Vers is 22 mm in diameter, so it will fit on the i30 almost perfectly (overhanging only slightly on one of its sides). It can hold up to 4.5 ml of e-liquid, and has plenty of airflow control slots, both on its base and on the stainless steel drip tip. Just like the recently reviewed SMOK TFV4 sub-ohm tank, I most enjoyed using the Sub-Vers with the bottom air holes wide open and the ones on the drip tip completely shut, which guarantees a very warm and dense mouthful of vapor. And, provided you bump up the wattage on your mod enough, this will chug the vapor like nothing you’ve ever used before – if you’re new to sub-ohm vaping that is. With the i30, getting the wattage settings right for the Sub-Vers basically means the full 30 watts, because anything less than that will leave you disappointed. The fact is, even 30W isn’t enough to push this tank to its limits. You’ll get a satisfying vape, yes, but if you prefer warmer vapor, an extra 5W makes all the difference. And that’s only for the stock 0.5Ω resistance coils that come with the tank, because just like the SMOKME Subverter Mini, the Sub-Vers works with 0.2Ω and 0.1Ω coil heads that you can buy separately. They won’t work with the AtmosRX i30, since it only fires down to 0.5Ω, but it’s nice to know that you can use this tank with other more advanced mods. The Sub-Vers tank works with dual-coil sub-ohm atomizer heads that are very similar in design to the ones for the Aspire Atlantis. 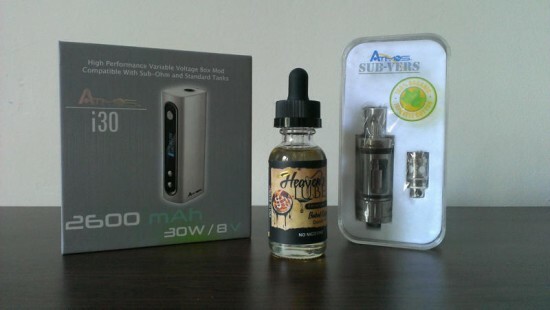 The guys at AtmosRX also sent me a bottle of their premium Heaven’s Lube e-liquid, called Baked Grizzly. It’s supposed to taste like Danish puff pastry, which is definitely not the simplest flavor to mimic, but they actually did a pretty good job. This 70VG/30PG mix has a strong doughy flavor, but by taste buds also detected hints of cream and fruit. I got a 0 nicotine bottle, so I can’t really speak about throat hit, but other than that, I thought it was a delicious vape. If Baked Grizzly is anything to go by, the Heaven’s Lube line is definitely worth a try, especially considering the great price AtmosRX has set for this – $16 per 30ml bottle.